Within the universal Body of Christ, the Christian Church (Disciples of Christ) is identifiable by its testimony, tradition, name, institutions, and relationships. Across national boundaries, this church expresses itself in covenantal relationships in congregations, regions, and general ministries of the Christian Church (Disciples of Christ), bound by God’s covenant of love. Each expression is characterized by its integrity, self-governance, authority, rights, and responsibilities, yet they relate to each other in a covenantal manner, to the end that all expressions will seek God’s will and be faithful to God’s mission. But how is this covenant expressed theologically? I know that there are many Disciples who are averse to Trinitarian thought. Some inhabit my congregation. They are, in this case, followers of Barton Stone. I, on the other hand, remain committed to a Trinitarian understanding of God. I recognize that the philosophical underpinnings of Nicea are outdated. Most of us are no longer Neo-Platonists, so the idea of substance and person, as defined at Nicea are problematic. 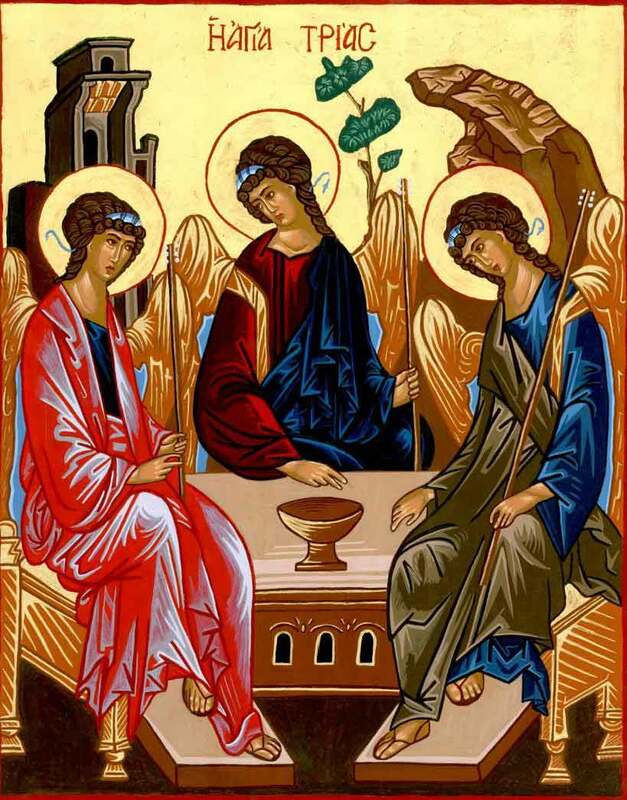 But in recent years much thoughts has been given to the Trinity. And I believe that we might benefit from this thinking as we seek to understand our relationship as one church in three expressions. I'm going to have to lay this out in spurts, but I'd like to suggest that a social doctrine of the Trinity, as understood by Jurgen Moltmann, among others might be of assistance to us. The unity of the trinitarian Persons likes in the circulation of the divine life which they fulfill in their relationships to one another. This means that the unity of the triune God cannot and must not be seen in a general concept of divine substance. That would abolish the personal differences. But if the contrary is true -- if the very difference of the three persons likes in their relational, perichoretically consummated life process -- the the Persons cannot and must not be reduced to three modes of being of one and the same divine subject. The Persons themselves constitute both their differences and their unity. [Moltmann, The Trinity and the Kingdom, p. 175]. So, here's my question -- as we struggle to figure out how Congregation, Region, and General Church exist, so that each is fully church and yet each has its own existence, could we not consider that each is fully church when it recognizes the mutual indwelling of the other expressions. Pushing this further, since Moltmann speaks of this relationship being love, is the church in each of its expressions (and I could a fourth -- the ecumenical expression) truly church when the mutual relationship evidences itself in love? I know I need to do more with this, but I'm hopeful we can have a conversation about what might be missing in our theology of the church. The late psychiatrist Thomas Szasz defined schizophrenia as literalizing metaphors. No matter how you define the Trinity, it comes down to metaphor. (Self-disclosure: I am not a Trinitarian.) The attempt to use the Trinity model to help understand the church, in my view, is to distort both. By using love as the controlling agent, useful Trinitarinally or not, begs the question of just how do we love in these expressions. This brings us immediately back to the issue of how we live in covenant, and the Trinity metaphor is no longer helpful. Love still is, and if we can ever learn to live for the sake of each other, and subordinate our wills to the will of the community, we will be the church in whatever expression. Good luck with that! I also am a trinitarian albeit one with a postmodern rather than nro-platonic undergriding. I see the scriptural emphasis on the divinity of the persons as well as the tension that plays with monotheism, but I hold to a modern anthropology of the person -and I only know how to speak of being a human person not a divine one. It us more constitutional in nature and only makes sense in situ -to the degree it speaks of a divine person we only see through a glass darkly. As for the tension that plays out on the substance issue I believe the ancients as well as we had faulty understanding of personhood at play -an overemphasized sense of individuality. As members of one human family, children of one God, parts of the body if Christ, and along side the command to love our neighbor as ourselves express a truth that we -the tip of the iceberg, that we are fundamentally more connected to each other than we can ever realize and this is a part of our very humanity and this too is but a shadow of the divine relationship within the Godhead. I don't think this works to your question to well though for the implications are that we put too much emphasis on who is church (who is in and who is outside) and thereby miss what it means to be in the kingdom of God here and now.